Since Rotary and its partners launched the Global Polio Eradication Initiative nearly 30 years ago, the incidence of polio has plummeted by more than 99.9 percent, from about 350,000 cases a year to just 37 cases in 2016. To sustain this progress, and protect all children from polio, Rotary has committed to raising US$50 million per year over the next three years in support of global polio eradication efforts. The Bill & Melinda Gates Foundation is matching Rotary’s commitment 2:1. Without full funding and political commitment, this paralyzing disease could return to previously polio-free countries, putting children everywhere at risk. 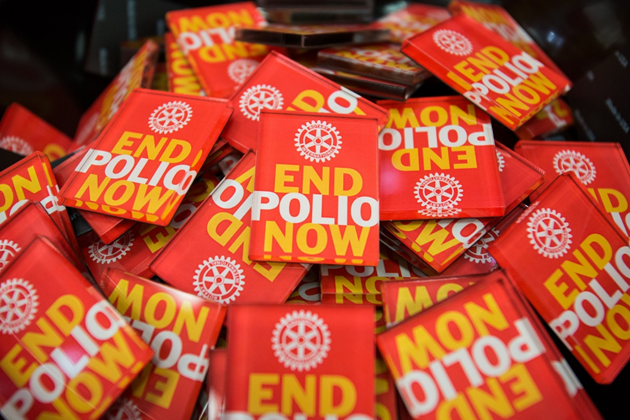 On 15 August, 2018, Rotary announced nearly $100 million in grants to support the global effort to end polio, a vaccine-preventable disease that once paralised hundreds of thousands of children each year. The announcement comes as Nigeria marks two years without any reported cases of wild poliovirus, following four reported cases in 2016.